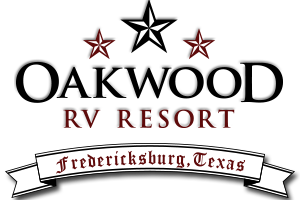 Stay at Oakwood RV Park as a destination vacation. A prime place to visit while you are here is historic Fredericksburg, Texas, just 69 miles from San Antonio in The Texas Hill Country which was named Number 8 on the Lonely Planet’s “Best in the US” list for 2017. Founded by Germans fleeing the social, political and economic conditions existing at the time in Germany, Fredericksburg in 1846, the European settlers named the town after Prince Frederick of Prussia. While initially refusing to learn English, the first generations of German settlers spoke Texas German, a dialect the town is still noted for. With 150 eclectic shops, a vibrant arts community, outdoor fun, carriage rides, diverse restaurants and events galore, including an area-renowned Oktoberfest, Fredericksburg delivers for everyone! For more information, visit the official Fredericksburg website at www.visitfredericksburgtx.org. Experience the past and hear the story of Fleet Admiral Chester W. Nimitz and World War II in the Pacific Theater. The complex includes The National Museum of the Pacific War-George Bush Gallery, the Nimitz Hotel museum, the Japanese Garden of Peace and much more. Backpack, camp, hike, try technical rock climbing, picnic, bird watch or just star gaze at the shimmery lights in the clear Hill Country sky! Round up the family and discover Hereford cattle, cowboys, horn branding, roping, chuck wagon, live Western music, a “kid corral” and more. Observe the wonders of nature at Wildseed Farms, the nation’s largest working wildflower seed farm and the Butterfly Haus that features an incredible collection of butterflies. More than 600 acres of vineyards produce grapes for 70 Hill Country wineries. Area wines are beginning to receive favorable wine reviews from notable industry experts. Drive the Texas wine trail or travel the Texas Hill Country Wine Road and visit wineries along Highway 290 near Fredericksburg, TX. Becker Vineyards, Bell Mountain Vineyards, Chisholm Trail Winery and Grape Creek Vineyard are among the places known for fabulous wines.